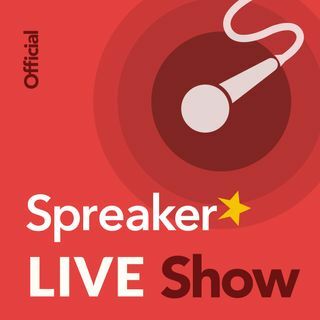 Hear the latest Spreaker Live Show every Weds at 3pm PST/6pm EST at Podcast Movement, NAB Show, RAIN Summit, Podfest Orlando, Mid-Atlantic Conference and many other events. The latest from podcasting experts and discussion about 2015 NAB and New Media Expo events in Las Vegas. Live times were 12-4pm PST on Mon, Tues, Weds. 12-3pm PST on Thurs. Tune in to the Official Spreaker podcast, hosted by Rob Greenlee, VP, Podcaster Relations at https://Voxnest.com (@robgreenlee) - Podcasting & Live Audio platform https://Spreaker.com and dynamic ad insertion platform Dynamo. The show is co-hosted by Spreaker podcaster Alex Exum (@alexexum) with podcasting how-to's, tool demos, ... Maggiori informazioni trends, tips, and talks with leading podcast and radio leaders. Live Every Wednesday at 3pm PST/6pm EST. On Amazon Alexa: Say "Alexa, ask Spreaker to play "Spreaker Live Show"
From microphones, to developing content, to monetization, podcast gurus will be offering up their own advice and experiences to draw from. You’ll also hear the latest news on Spreaker and Spreaker tools, from newly released features to exciting new partnerships. Don’t miss tips on using the platform to its fullest potential and get yourself sounding like a pro. Podcasting has never been easier! So come participate and interact with a rich community of audio creators and listeners using the best medium we know! Listen in live, and don’t forget to leave us your comments and feedback! Spreaker brings you interviews with attendees and sponsors at New Media Europe. "This unique conference is aimed at podcasters, bloggers, social media visionaries, content creators, entrepreneurs, marketing professionals and new media enthusiasts who are looking to up their game through the effective use of new media tools ‒ such ... Maggiori informazioni as podcasting, blogging and social media ‒ in their endeavours."